The special design of the Multi Flooring Cutter provides double the cutting power. 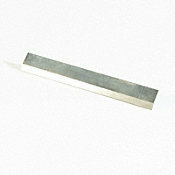 It completes a cut with a real SHEAR action and with a clean cutting edge. The blade can be replaced. - Blade Cutting Length: 215mm/8.4"
- Max Thickness Cutting: 10-16mm/0.38"-0.63"
- Width of Plank Cutting: 215mm/8.4"